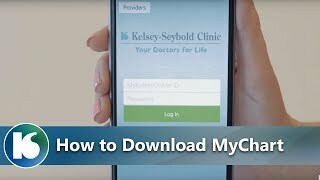 Staying in touch with your Kelsey-Seybold Clinic physician is as easy as a click of a mouse or a tap on your smartphone. MyKelseyOnline offers an instant online connection through a secure and confidential portal to portions of your electronic medical record, lab, and test results. You can schedule appointments, email your doctor, and fill prescriptions. Download the free My Chart app in three easy steps to start scheduling appointments right from your smartphone (Android or Apple). Kelsey-Seybold Clinic patient Alexis talks about the ease of contacting her doctor and setting up appointments using MyKelseyOnline. Tally has three children and doesn’t have a lot of free time, so being able to use the MyKelseyOnline app on her phone to schedule an appointment the minute she hears a sniffle is a great convenience.